Whatever happened to the ostrich farms of Zimbabwe? 28 June 2018, at 12:00a.m. 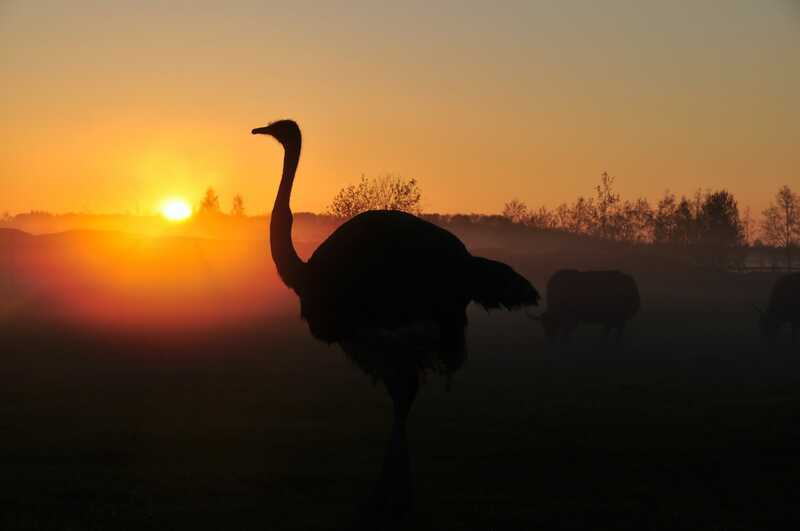 At the turn of the millennium, the sun was shining on ostrich farmers in Zimbabwe - but a rapid series of challenges across the sector conspired to bring about a sudden change in fortune. The collapse of the local currency and a bird-flu outbreak at the peak of President Robert Mugabe’s compulsory acquisition of white-owned farmland in 2005 dealt a heavy blow to ostrich farming in Zimbabwe. The displacement of some 4,000 farmers decimated an industry that generated about US $9 million monthly through exports of ostrich skin, meat and feathers to Europe, America and Asia. Before the industry went into crisis, around 200 farmers reared the bird commercially countrywide, but now just a few are left in private wildlife parks. Most of the abattoirs that served ostrich farmers collapsed, as did the trade association that lobbied for the producers. Peter Cunningham was probably the biggest ostrich farmer in Zimbabwe. Aside from the farm where he raised thousands of ostriches, he also operated an abattoir and a tannery in Bulawayo, the second country’s largest city. He is now only raising a limited parent stock of birds at his property in south-western Zimbabwe. “There is nothing left,” he says. Apart from ostriches, he breeds broilers and layer chickens and manufactures poultry feed, and he is fortunate to still have his premises - many of Cunningham’s colleagues have been driven off their farms during the past 17 years. He retained his property in Matobo, 60km south of Bulawayo, because vice-president Phelekezela Mphoko protected him from eviction by a senior state intelligence officer in 2015. Not many were as lucky as Cunningham. One of the less fortunate farmers was Cunningham’s business associate Cahyadi Kumala, who ran the ostrich farm and was Cunningham’s partner in the tannery. Kumala had invested US $11 million into an ostrich meat- and skin-processing project a few kilometres north of Bulawayo, but had his property forcibly taken over by the government in June 2001. Prior to the evictions the farmers, who were predominantly white, produced around 30,000 birds annually, collectively earning up to US $100 million. Chris Rohde is a veterinary consultant who worked closely with the Ostrich Producers Association of Zimbabwe when the industry was still vibrant. As ostrich farmers left he lost dozens of clients. Commercial ostrich farming started in Zimbabwe in the mid-1980s after locals learned of its profitability from their colleagues in neighbouring South Africa, where the first commercial ostrich farm was established in about 1860. Back then the birds were raised solely for harvesting the feathers every six to eight months. South Africa has more than 65 percent of the world’s ostrich population and also accounts for 90 percent of the bird’s products available in the world. About 98 percent of the slaughtered stock was exported as locals had not developed an appetite for ostrich meat. Local tanneries used to process the skin, which some leather workers processed into footwear, bags and ornaments. “Our biggest challenge was the collapse of the Zimbabwean dollar in the early 2000s,” says Cunningham. “The bird flu outbreak of 2005 hastened the decline. Also many people who farmed ostriches left. The industry has not recovered from that." Most of the birds were farmed in Zimbabwe's arid south-western districts where they thrived alongside cattle and game ranching. Ostriches normally avoid areas of thick bush or heavy tree cover, and inhabit wooded grasslands and other open country, such as the plains of south-western Zimbabwe. Semi-arid, open and short-grass plains are usually associated with the highest ostrich densities - both in the wild and under farm conditions. Monica Chinamasa, president of the Zimbabwe National Farmers’ Union, says she knows very little about ostrich farming. The new land owners, she says, still have to master the art of raising ostriches as well as marketing. President Mugabe’s land seizures of the early 2000s courted economic restrictions from Europe and America. Under the sanctions, the president and the inner circles in his government and ruling party were banned from travelling to and trading with Europe and America. However, both trading powers have eased some of the sanctions and now more Zimbabwean companies can freely trade with America and the Europe Union. Ross Cooper, a University of Zimbabwe lecturer, conducted a study in 2002 on the impact of the land grab on ostrich farming. He wrote in World Poultry that as a consequence of disruptions in farming practices, the industry was under threat. 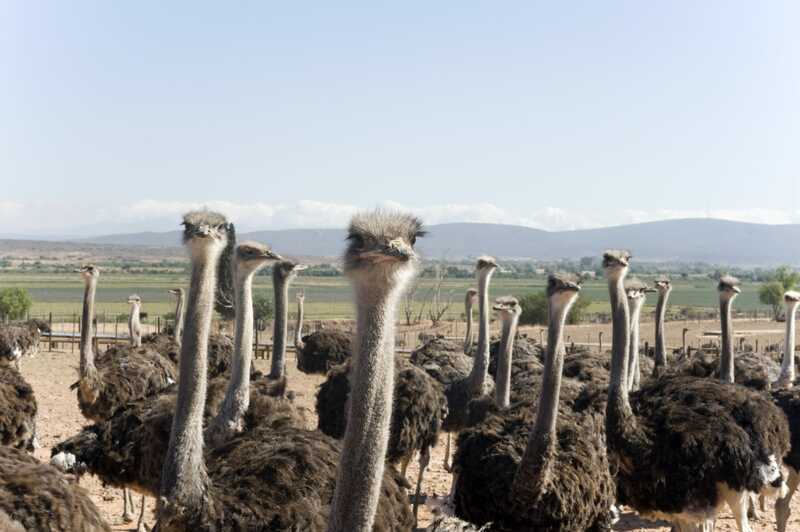 “Associated with this threat is a halt on the expansion and growth of the Zimbabwean ostrich industry. The disruptions are destroying previously established communal farming projects. Indeed, settlers are badly interfering with ostrich farming practices. The occupants keeping chickens on the farms [is] evidence [of] the total disregard for ostrich farming regulations. Settler disruptions are rated by three out of five farmers as causing significant stress to growers and breeders. Massive inflation in Zimbabwe is seriously elevating an increase in feed prices,” he wrote. President Mugabe’s government recognises the potential that ostrich farming has and is keen to revive it, said deputy agriculture minister Paddy Zhanda in an interview withThe Poultry Site in September 2017. “The fact is we don’t have an industry now,” he said.